Gummibär Easter Baskets - Gummybear International Inc. 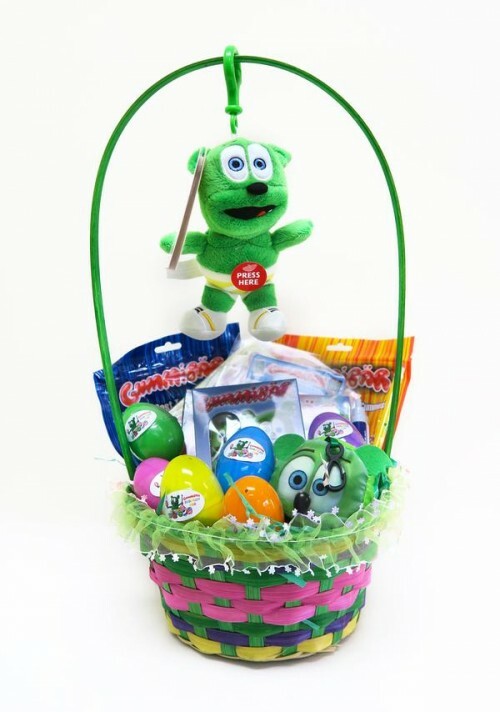 The Gummibär Easter baskets are each filled with a Gummibär singing keychain, ‘Party Pop’ CD, Gummibär Gummy Candy, mystery eggs and more. The retail value of this item is $70, but it is available for purchase at only $49.99. Gummybear International Inc. is the corporate parent of animated character Gummibär, everyone’s favorite singing and dancing animated gummy bear. The character was created in 2006, and due to the success of several viral videos which spread by word of mouth alone, has since gone on to become the most watched animated character on the internet with over 12 billion views on YouTube alone!